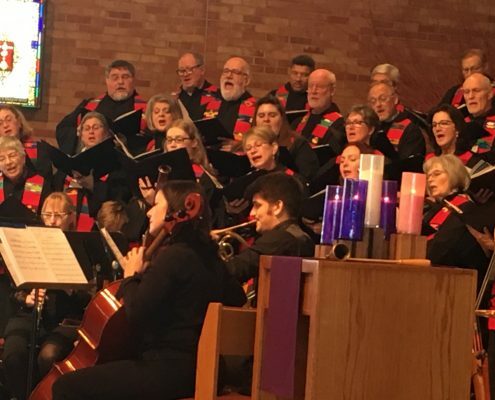 The music program at Mayflower expands and enhances the worship experience with traditional, innovative, and multicultural music. 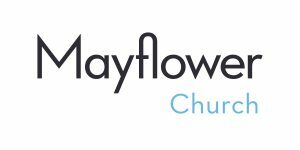 Mayflower has choirs for anyone age 7 and older, plus a handbell choir, brass ensemble, the Mayflower Men, and many talented instrumentalists and vocalists who lead us in worship throughout the year. 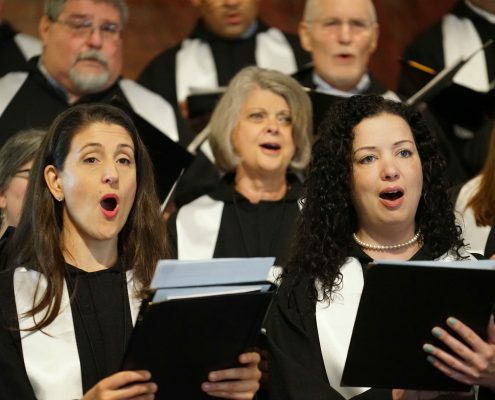 Choirs meet from September through May for weekly rehearsals and singing in worship. Join us! The sanctuary organ is a tracker-action instrument constructed by Charles Hendrickson in St. Peter, Minnesota, and installed in Mayflower in 1988. Members designed the carved wooden boats on the organ. The New Century Hymnal, the hymnal of the United Church of Christ, is used in Mayflower worship. A favorite collection of hymns by Mayflower member Marty Haugen is also an important part of our hymnody.